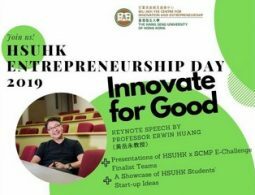 To familiarise students with corporate communication industry, School of Communication invited Mr. Lee Ho Wing, Director of Hong Kong division of mainland’s leading social site jiepang.com, to have some sharing with our BJC Year 2 and 3 students. 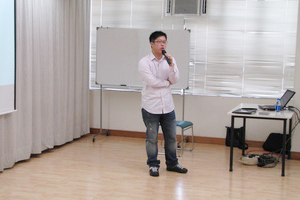 Mr Lee set risk management and social networking media as the theme of his sharing. Based on his experience, Mr Lee shared his views on how a reporter and public relations consultant should deal with risks. Mr Lee’s sharing enriched students’ understanding in the job field of news and public relations. 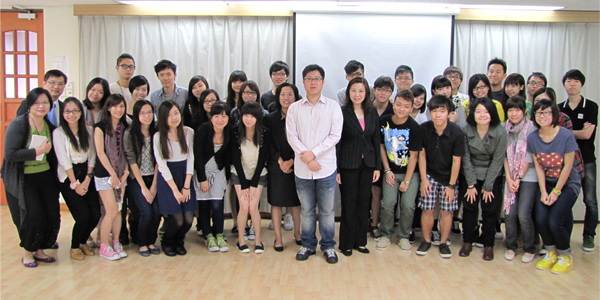 Dr. CHEUNG Mei Fung, Meily introduced guest speaker Mr Lee Ho Wing to our students. 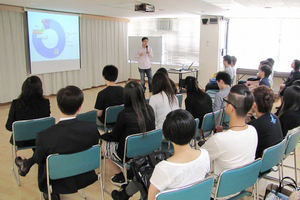 Guest speaker Mr. Lee Ho Wing, Director of Hong Kong division of mainland’s leading social site jiepang.com, shared his experience with our students. 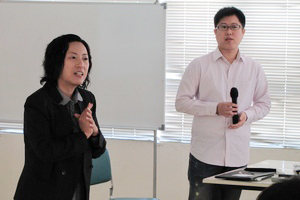 Students paid full attention in the sharing session. 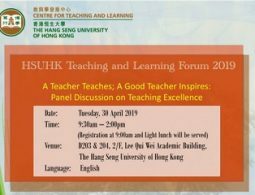 Mr Lee’s lively sharing led to relaxing atmosphere. 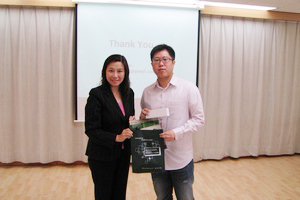 Prof. Scarlet Tso, Dean of School of Communication, presented a souvenir to guest speaker Mr Lee Ho Wing. Group photo with guest speaker.